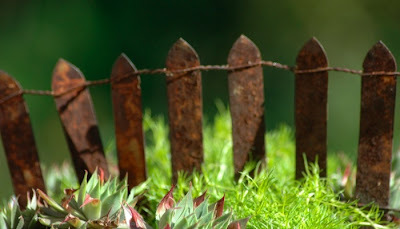 Part miniature gardening and part victorian dollhouse: these whimsical arrangements at theweegarden.com illustrate the magical side of miniature landscapes. 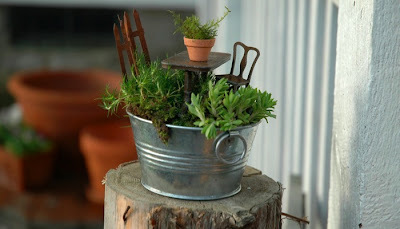 They also have a great list of plants suited to miniature gardening and sell adorable mini garden features. Very sweet. Might make a fun little project for older children. They are miniature - seems great fun to me. That is too cool!~ Now I could probably keep that alive, and it might even keep looking good if I owned it. These are the sweetest little moss gardens ever!